TWEET: This just in! ACM Lifting Lives partners with @Aflac once again to present the Aflac ACM Lifting Lives Honor! ACM Awards nominee Carly Pearce will present the honor later this evening, Friday, April 5, in the Marquee Ballroom at MGM Grand Hotel & Casino during ACM Stories, Songs & Stars, which will be taking place as part of the 7th Annual ACM Party for a Cause® leading up to the 54th ACM Awards. “Improving lives is at the core of our mission at ACM Lifting Lives. We are thrilled to continue our partnership with Aflac which enables us to honor an unsung hero in the music industry for his or her dedication to helping others through the restorative and powerful gift of music,” said Lyndsay Cruz, Executive Director of ACM Lifting Lives. The purpose of the Aflac ACM Lifting Lives Honor is to acknowledge an individual who has made significant impact by healing through the power of music. The ACM Lifting Lives Board and Aflac selected the recipient based on his or her long-term efforts using his or her music abilities to make a positive impact in the community. 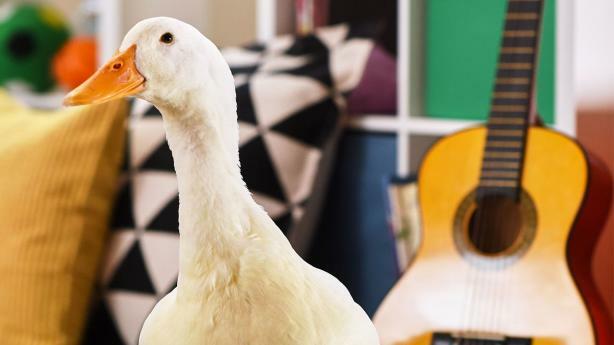 In celebration of the Aflac ACM Lifting Lives Honor, Aflac will donate $50,000 to Musicians On Call, a nonprofit celebrating 20 years of bringing live and recorded music to the bedsides of patients in healthcare facilities. ACM Lifting Lives and Aflac’s donation of Musicians On Call will support its signature Bedside Performance Program locally in Las Vegas, following Musicians On Call’s emergency response efforts after the Route 91 Harvest Festival tragedy where they brought country artists to deliver the healing power of music to the victims and caregivers. Aflac is committed to standing behind its promise to be there for its policyholders and community in their time of need, and few know that more than children and families facing childhood cancer. Over the past two decades, Aflac has contributed more than $133 million to the childhood cancer cause, including $5.8 million to the Family Support Team at the Aflac Cancer and Blood Disorders Center in Atlanta. Part of that funding has supported the nationally recognized cancer center’s music therapy program. 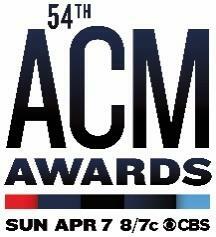 The award announcement is part of the Week Vegas Goes Country®, which culminates with the 54th ACM Awards, hosted by Reba McEntire, which will air LIVE from the MGM Grand Garden Arena in Las Vegas on Sunday, April 7, 2019 at 8:00 PM ET / delayed PT on the CBS Television Network. The 7th Annual ACM Party for a Cause®, taking place on Friday, April 5 – Sunday, April 7, 2019 in Las Vegas, will consist of fan events and private parties leading up to and immediately following the 54th Academy of Country Music Awards™, Country Music’s Party of the Year®. The Academy-hosted marquee events slated for this year’s Party for a Cause include ACM Stories, Songs & Stars, ACM Lifting Lives Topgolf Tee-Off, ACM Decades and the ACM Awards Official After Party presented by Security Benefit. Each event will feature performances by country music’s biggest names and hottest new talent. Portions of all event proceeds will benefit ACM Lifting Lives®, the philanthropic arm of the Academy of Country Music, which works to lift lives through the power of music. For additional information and/or to purchase tickets, visit PartyForaCause.com. Aflac Incorporated (NYSE: AFL) is a Fortune 500 company helping provide protection to more than 50 million people through its subsidiaries in Japan and the U.S., where it is a leading supplemental insurer, by paying cash fast when policyholders get sick or injured. For more than six decades, insurance policies of Aflac Incorporated’s subsidiaries have given policyholders the opportunity to focus on recovery, not financial stress. Aflac Life Insurance Japan is the leading provider of medical and cancer insurance in Japan, where it insures 1 in 4 households. Through its trailblazing One Day PaySM initiative in the United States, for eligible claims, Aflac can process, approve and electronically send funds to claimants for quick access to cash in just one business day. For 13 consecutive years, Aflac has been recognized by Ethisphere as one of the World's Most Ethical Companies. In 2018, Fortune magazine recognized Aflac as one of the 100 Best Companies to Work for in America for the 20th consecutive year, and in 2019, Fortune included Aflac on its list of World’s Most Admired Companies for the 18th time. To find out more about One Day PaySM and learn how to get help with expenses health insurance doesn’t cover, get to know us at aflac.com. Musicians On Call (MOC) was founded in 1999 with the mission of bringing live and recorded music to the bedsides of patients in healthcare facilities ranging from children’s hospitals to adult facilities, VA hospitals and hospices. To date, its volunteers have played for over 700,000 patients, families and caregivers across the country. By delivering live, in-room performances to patients undergoing treatment or unable to leave their beds, they add a dose of joy to life in a healthcare facility. MOC supporters over the years include Bruce Springsteen, Kelly Clarkson, Luke Bryan, Keith Urban, Lady Antebellum, Justin Timberlake, Ed Sheeran, Reba, Gavin DeGraw, Darius Rucker, Pharrell, Amos Lee, Nick Jonas, Rachel Platten and many more. For more information, visit www.musiciansoncall.org.